July 30th 2017. 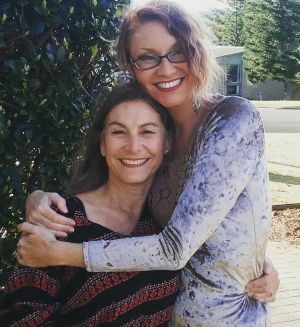 32-year-old Bronwyn Atherton and her mother Robyn Atherton in Ulladulla, NSW. 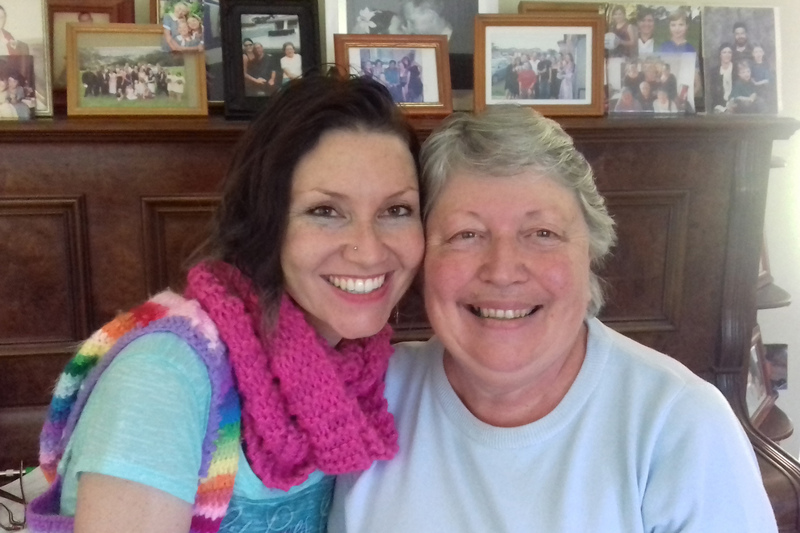 Bronwyn says her mother has been her rock throughtout the years and she is so Thankful for everything she did for her. Robyn says its a ‘pure relief’ to have her daughter home at last. “I’ve been waiting for this moment for so long, it’s overwhelming,” says a tearful Bronwyn Atherton as she arrives at Sydney airport. The 32-year-old from Ulladulla on the NSW South Coast who greets her family and friends with joy and laughter looks like she’s just returned from a gap year in Europe. In reality, she has landed in her homeland after more than eight years in a Peruvian prison. “So much has happened since I left here. I had to rewire my brain into dealing with the fact that my life took place within thick walls, which I couldn’t escape from. Now I’m free and can see the ocean from my window. It’s unbearably beautiful and painful at the same time,” she says. In 2008, Atherton was found at an airport in Peru with a suitcase full of cocaine. She was convicted of trafficking drugs and sentenced to 14 years in jail. “My life was destroyed and I needed to get away because I didn’t want people to say, ‘Oh, that’s the girl whose kid died,’ so I went to Melbourne. From there I decided to go to Africa so I could help underprivileged kids. Bronwyn Atherton spent more than eight years in Santa Monica prison in Peru after being convicted of drug trafficking. But Atherton decided to travel nonetheless. “I’ve always been a drifter, so I went to Europe for a couple of weeks and then to Mozambique,” she says. A month after her arrival her passport and precious photos of her son were stolen. “There’s no Australian consul in Mozambique so I had to travel to South Africa. I got a temporary passport at the border, and the consul leant me $200 when I got there. It took three months to get my new passport so I hitchhiked around South Africa while I was waiting. So much crazy stuff happened during that time. Bronwyn Atherton with her friend Diana Black in Ulladulla. Indeed, it was a chance encounter in South Africa that led to her eventual incarceration. “I was in a cafe in Pretoria and this guy came up to me and said, ‘You look like you like to travel. I’m into trafficking gold, diamonds, marijuana, cocaine. Would you be interested in bringing something across the border?’ ” Atherton says. “I couldn’t believe I was actually hearing someone say this. I was like, ‘What the hell?’ ” she says. “I said no to everything, but eventually said maybe I’ll bring marijuana with me on a bus to Swaziland. Atherton went on a wild six-month journey, traversing three continents and 22 countries, had a gun held to her head and was raped – twice. In the meantime, she discovered that the man who had raped her in Australia had infected her with HIV. In October 2008, she was given a bag that weighed 46 kilograms in a taxi in Lima, Peru, en route to Jorge Chavez international airport. “Every voice in my head was telling me it was insanity, but I did it anyway. The bag contained two pillowcases full of cocaine as well as jumpers, cushions, blankets and all the things you’d need if you went to jail.”They knew that I had to buy everything once I got to jail, so they wanted to do the ‘decent’ thing and set me up,” she says. 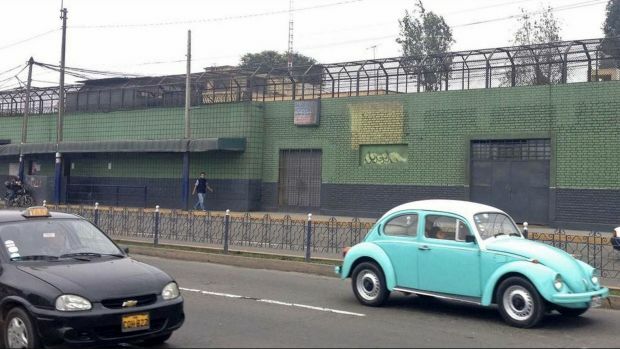 After 15 days in a holding cell, she was sent to Santa Monica women’s prison in Chorrillos, a suburb of Lima, Peru. Unlike Schapelle Corby, who returned home in May this year after nine years in Bali’s Kerobokan prison after being caught with four kilograms of marijuana in Bali in 2004, Atherton arrived home to no fanfare, no flashing lights, no paparazzi. “That’s what happens when you’re guilty. Like, I knew what I was doing, I don’t deny that, but I wasn’t in a position where I made good decisions,” she says from her childhood home in Ulladulla earlier this week. “I wouldn’t have done it if I was healthy. Things like that don’t happen to mentally healthy people. I needed to heal, I was damaged,” she says. “I feel bad for Cassandra Sainsbury,” says Atherton about the 22-year-old Australian facing several years in prison after being caught with six kilograms of cocaine in Colombia’s El Dorado airport in April this year. “People don’t know the difference between criminals and people who make mistakes. She says that she is thankful to the people who helped her during her prison years. “People I never met supported me financially and filled out petitions to ensure my early release,” she says. Atherton’s mother set up a Facebook page for her, and a petition for an early release. She received letters and money from people all around the world. Everything cost money in prison – toilet paper, food, hot water, drinking water – so she couldn’t survive without donations. Atherton says she’s not sure where she’ll eventually settle, but is enjoying Ulladulla. In the coming year she plans to publish some of the 12 fantasy novels she wrote in prison. She also has around 200 colourful paintings from her time in Peru that she also wants to sell. Atherton says she wants to use her experiences to help those who can’t help themselves. “I want to work with kids who are on the wrong path. I think my story can inspire them. The war on drugs doesn’t work and I want to address why people take them in the first place. I heard about Bronwyn/s story from following Melissa and Michaella’s story, that’s awesome news that Bronwyn is now free, 12 fantasy novels though, could she give a few words of wisdom to George RR Martin so he will get his arse in gear with the winds of winter? ?